Food and bad weather emergencies are inextricably linked to one another. When hurricanes or blizzards threaten, you can pretty much count on at least one thing — you won’t be finding very much milk, bread, eggs, or bottled water at the local grocery store! As it turns out, there is a much greater connection between food and weather disasters than just long lines and empty store shelves. 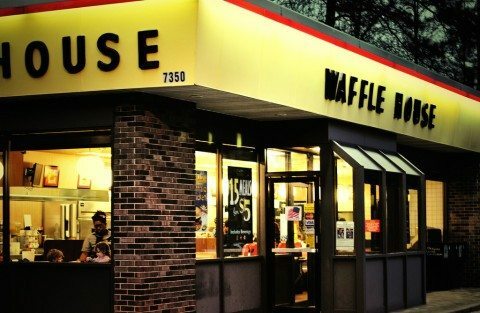 Waffle House, the famous roadside breakfast restaurant that’s seen at virtually every major interstate exit and in neighborhoods across the country, operates 24/7/365. When bad weather hits, many people camp out at Waffle House — especially if their cars get snowed in on the highway or are stranded by flood waters. So, the Federal Emergency Management Administration (FEMA) decided that if Waffle House is closed, the weather must be really really bad. Green – Waffle House is operating as usual. Yellow – Waffle House is open but is offering only a limited menu. Red – Waffle House is closed. Waffle House has weather disaster plans, and they also have an emergency menu that they’ll break out if the situation becomes dicey and meals need to be prepared quickly. 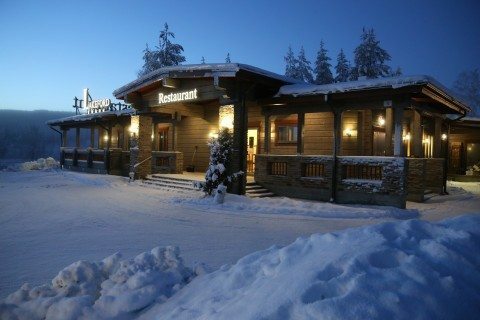 Interestingly, 2 of the restaurant’s most popular items — waffles and bacon — aren’t included on the emergency menu because they take too much electricity to make! 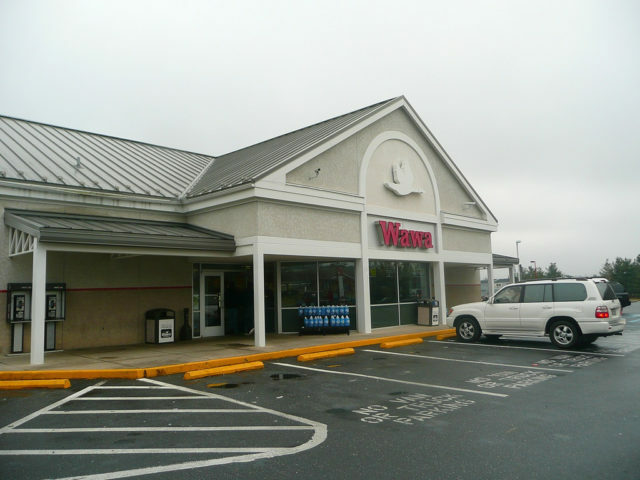 Wawa is a popular chain of convenience stores in the Mid-Atlantic and Florida. While they are popular for their made-to-order hoagies, wide variety of coffee, and free ATM transactions, they also provide many important services during emergencies. Like Waffle House, Wawa is open 24/7/365 — so you know when Wawa is closed, something bad is going down. But that doesn’t mean Wawa is missing from the action during hurricanes, blizzards, and floods. When Red Cross first responders in Hurricane Sandy began operations in neighborhoods throughout New Jersey, Wawa store managers went to the stores to open them up to the emergency workers — giving away hot food, drinks, first-aid equipment, toiletries, cleaning supplies, and other items. They also provided diesel to emergency management vehicles when other fueling resources were simply unavailable. Feel like getting a nice hot meal during a cold, wintry day? You might find it relatively easy to get a seat at a local restaurant. That’s because, according to BlueSky Research, 75% of surveyed restaurants saw a 10% or more decline in business during bleak winter days. The study suggests snow and ice keep people off the roads — which is why many stop going out to eat when the weather is frightful. Some quick-service restaurants, like SPIN! Neapolitan Pizza, don’t let the bad weather do them in. They offer so-called crummy weather vouchers to drum up sales when Jack Frost stops by. Some restaurants that offer these coupons have seen 20% increases in business. Here’s a tip: take advantage of bad weather days to get a seat in a restaurant that’s normally hard to get into. 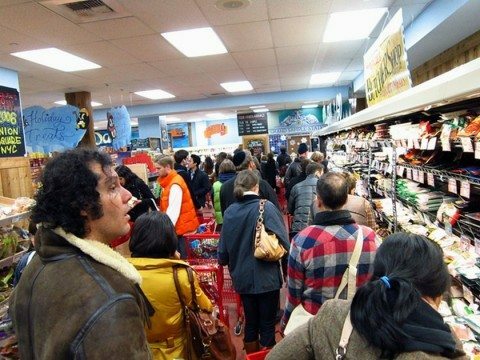 Find it strange that people wait in terribly long grocery store lines to buy things like bread, milk, eggs, ice cream, and other perishable foods before bad weather hits? Wouldn’t it make more sense to stock up on things like canned soups, tuna fish, beans, and Spam? As it turns out, it’s all about positive thinking. 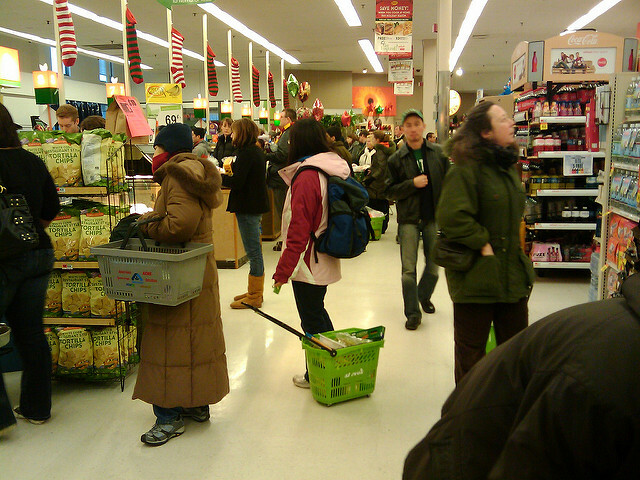 In other words, the impulse buying of perishable foods is a subtle way that people try to claim control over the bad weather. As one behavioral economist explained to The Atlantic, people also tend to buy what they see others buying. “If we go somewhere and we see other people buying those particular things, all of a sudden [we’re] even more interested in those [things],” he says. In other words, if we see others buying bread and milk at the grocery store, we’ll want to stock up on those items, too.